Caleb has SPD and has been going to Occupational Therapy (OT) every week for just about one year now. Before OT he couldn’t get a haircut without screaming, crying, basically being in terror and saying his haircut hurt. I had to sit in the chair with him on my lap and hold him down the whole time. During his last haircut he didn’t shed ONE tear, sat mostly still and even let her use the clippers!! The change is unbelievable! In addition to the physical difficulties his SPD affects his brain functions. His brain has a hard time with the higher brain functions. So when something is different (out of routine he prefers) or he is told “no” or plans change he goes straight to tantrum. He has a hard time understanding that (for example) “you can’t play that game right now, but in 5 minutes I will sit down and play with you.” He can’t think through the “not now but later yes” part of the situation. He has a very difficult time with new food. Even the same food but prepared differently. It’s frustrating to only be able to prepare the same several meals all the time. For example, mac and cheese HAS to be only the Kraft macaroni and cheese. He has had the same lunch for the last 4 years! 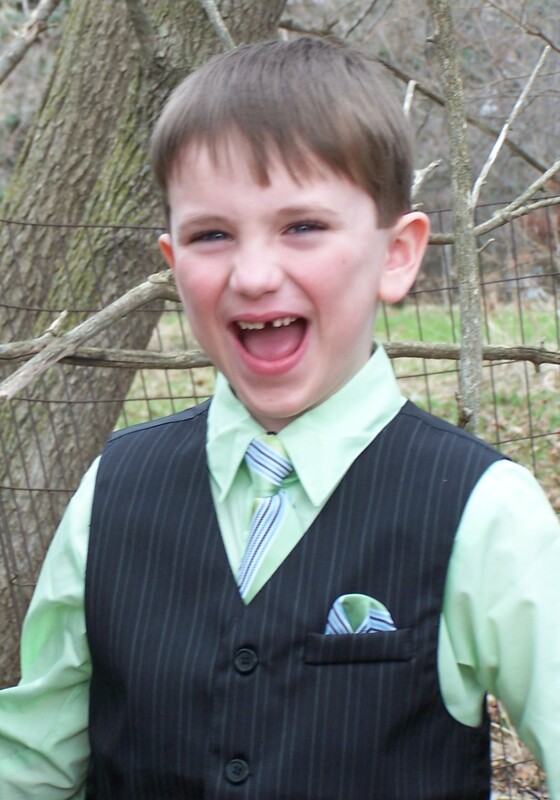 OT, and growing up, has helped him be a bit more adventurous and try new things, but it is a STRUGGLE! There are so many things that OT has helped him with this past year. But there are still so many struggles! So many difficult things to deal with every moment of every day. Here’s the confession part. I feel guilty all the time. Summer vacation is almost done. I feel so guilty saying this, but I’m just being real…. I’m actually excited for school to start again! I HATE saying that, but summer vacation has been pretty tough. Caleb doesn’t play well on his own (unless it’s video games). He doesn’t do well with imaginative play. He needs to be entertained or have me play WITH him. But he also has such a hard time focusing on anything for longer than a few minutes. So, we pull out the play-doh, but he’s done with it in a few minutes and ready to move on to something else. I run out of ideas quickly! I’m also not good at structure and routine. School is good for him in some ways because it provides that structure and routine that is hard to get at home, especially with a little sister around. I need to be doing so much more therapy with him at home but it’s so hard to fit it in. Adara is getting speech therapy and OT as well as Caleb getting OT. So they both have things I need to do with them along with diaper changes, meals, naps, cleaning, grocery shopping, playing, etc. It’s frustrating to me when I get to the end of the day and see how much I did NOT do with them! And the NOISE! OMG THE NOISE!! Part of Caleb’s SPD is needing input in his body all the time. One of his big issues is craving input in his mouth and face. So he makes noises. ALL. THE. TIME. He goes through phases of what noise he makes. Just recently it was a farting sound on his arm. Now it has switched to a weird throat sound. He also yells a lot, sometimes just talks loud. But lots of yelling. And Adara wants to be just like her big brother, so she’s taken to yelling a lot! Some days the noise of a day just puts me over the edge!! I feel guilty for being annoyed by him and his issues. I feel guilty for not helping him more. I feel guilty that I want him to go to school again. And I feel guilty for thinking about how this affects ME. Because it’s HIS poor little body that is dealing with all this! HE is the one who has all these things firing in his brain and his body making him hyper and need to make noise and not able to sit still or focus. It’s HIS brain that is misfiring in his body. And then my heart breaks for him. I wonder how this will affect him throughout his life. As much as I would like for him to go back to school, I fear for him. I wonder how the other kids in school will deal with his noises. I wonder, as he gets older, what kids will say when he sits too close to them because he needs to feel someone next to him to tell his body where he is in space. I wonder if kids will tease him because he needs extra tools and allowances in class to help him focus on his work and he still doesn’t get as much done as the other kids. I pray God protects his sweet little heart from the whispers, the names he might be called, the glares. I pray God helps his body to regulate, to recalibrate so he can have less challenges. I pray that as he grows up he will be able to find what helps his body feel better and be able to do that for himself. I pray that God uses this in his life to touch others, to show others God’s unconditional love and acceptance. SPD is tough for the whole family. But I don’t want to get so focused on how hard it is on ME and forget how hard it is on HIM! God has blessed me with two amazing kids who need a little extra help with things. He created them so special, beautiful and wonderful. And just right for our family! 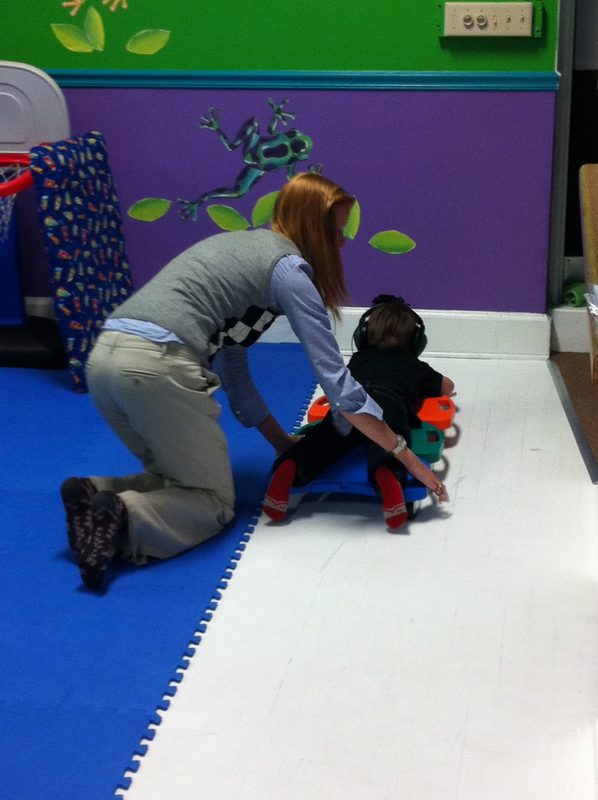 Caleb had his first OT (Occupational Therapy) session last week. I took some picture because I like to document this stuff. I took pictures of Adara’s procedures along the way with her heart issues too. I think it might be neat for them to see their journeys one day. Caleb did great at his therapy. It’s play based, so he loves it! That makes me very happy! In fact, the next day when I picked him up from school he asked if we could go play with Miss Rachel! She worked with him on a few different things to help sort of “recalibrate” his body. I of course don’t know what all of it was for or what it was doing, but she filled us in as much as she could while still keeping her attention on Caleb. He just sees tons of toys and fun so he bounces from one thing to another without her keeping him very focused! It was nice because Tim was able to be at this one so he could see some of what goes on. I have my moments of this being hard to deal with. It’s really hard to figure out which behavior is due to SPD and which behavior is due to him being a 5 year old boy and needing discipline! I’m trying to read and research as much as I can to learn how to help him and his body get what it needs so he can function better and at a calmer level. It really is fascinating to learn how the body works. God made us SO INDESCRIBABLY intricate and complex! In many of the pictures you’ll see him wearing headphones. They are for the therapeutic listening. They play very scientifically engineering music used to help calm the kids and put things back in order. 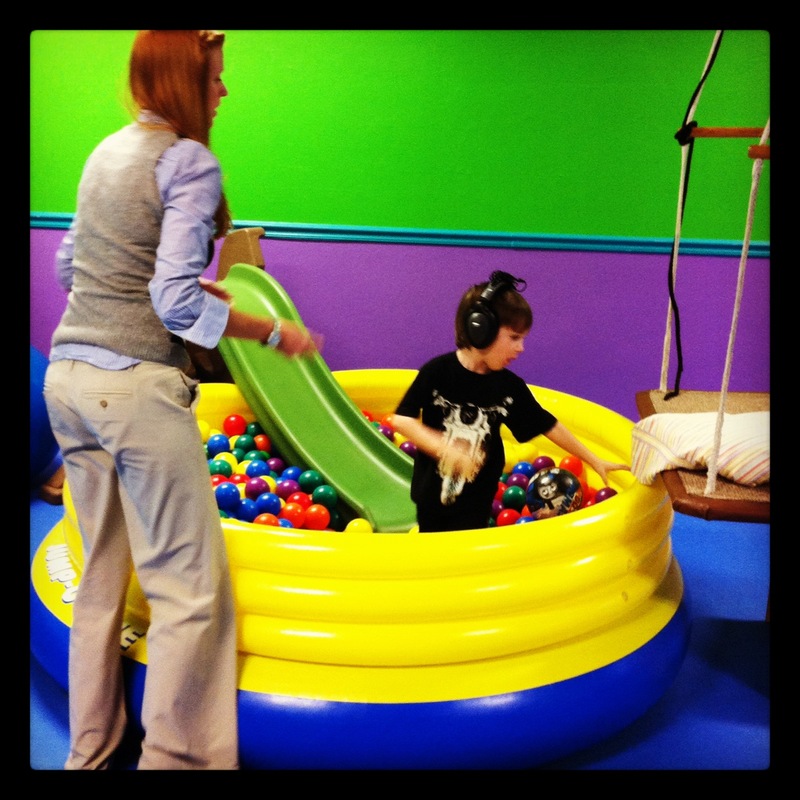 One of Caleb’s issues is his vestibular system. This is the inner ear. The music helps to put things back where they’re supposed to be in a way. So, he wears them for much of the therapy. The music coupled with the physical activity works together. Like I said, fascinating! His absolute FAVORITE thing to use….the BALL PIT!! He asks to go in there many times! 🙂 That’s where he gets to go when he needs a break! This is him rolling on scooter boards. His body gets out of whack when he lays down so this works on that and works on his pushing and pulling with his arms. 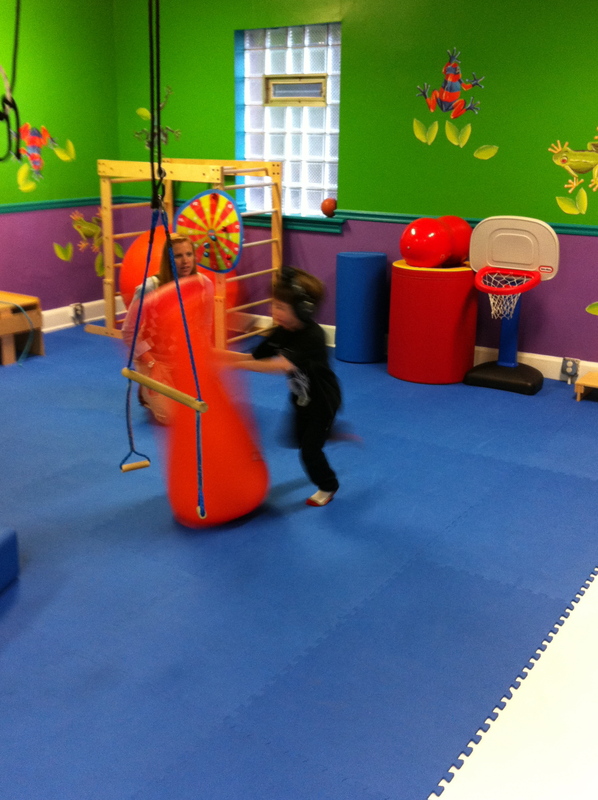 What boy doesn’t like to punch an inflatable punching bag?? He was showing Miss Rachel his tae kwon do moves! He has to work on crawling down the stairs facing forward. It’s interesting what our bodies can do easily and what takes more work. This was interesting too! It’s a spinning board. Something about laying on his side like that and spinning (slowly) to each side helps calibrate his body. I couldn’t believe how calm he was when she was doing this! I don’t think I ever see him this still and calm besides when he’s sleeping! It was amazing.